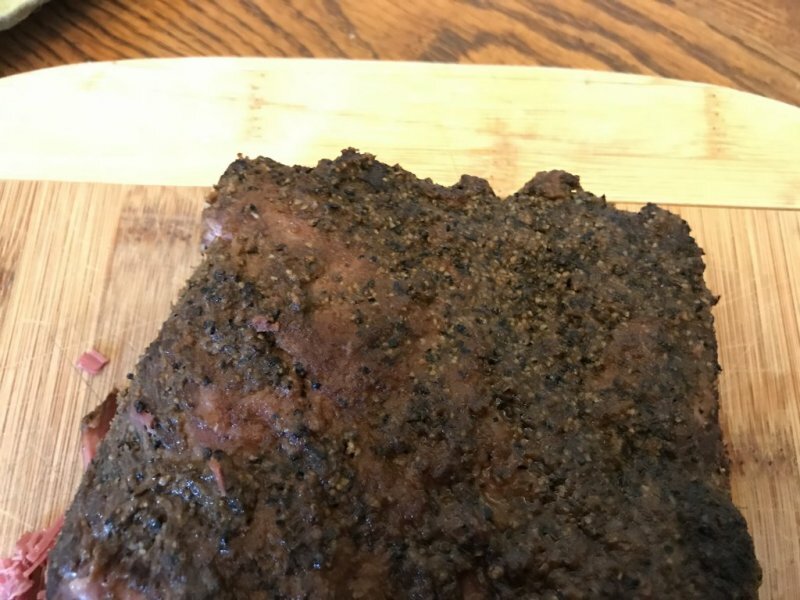 I am making some pastrami using Meathead’s recipe from AR.com. This is 6 lbs of choice brisket flat that I cured myself to make corned beef. 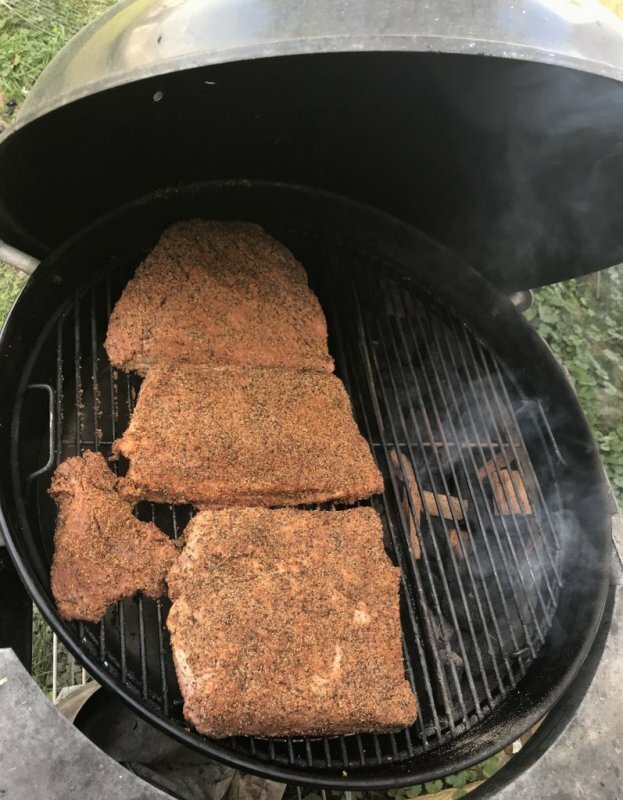 I rubbed it down with pastrami rub, and will be smoking it tomorrow. I prefer the point for pastrami, but the only way I can get them around here is if I buy a whole packer. Yes, that’s the only way I can find it as well. This is the flat from a whole packer that I bought and separated. I like the flat for Pastrami because it’s leaner than the point. To each his/her own though! 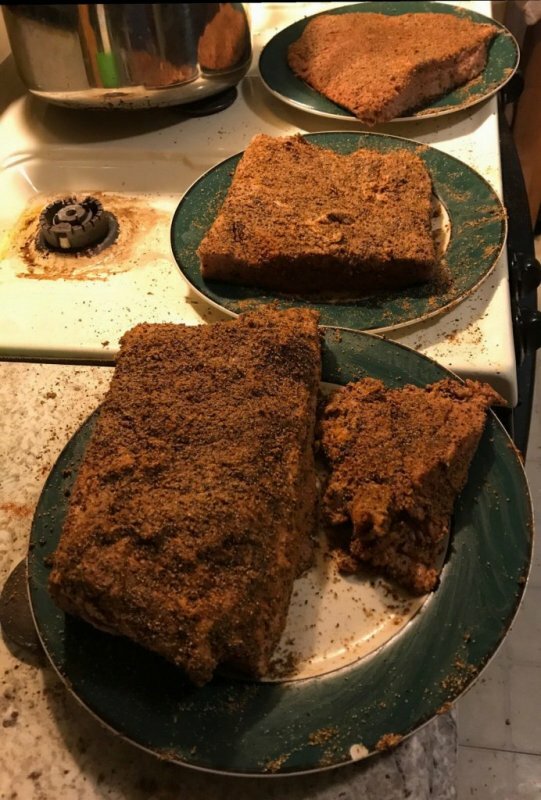 I keep wanting to try making my own corned beef and/or pastrami and keep chickening out. Let us know how yours turns out! Two day rest in the fridge. Helps the rub to adhere, according to MH. Saturday morning onto the Weber 22 with SnS. 225-250 with 3.5 ounces of cherry for smoke. I took it just past the stall to 170. Then into a sous vide bath for four hours at 195 F.
Not quite my best effort, but pretty dang tasty! @Thunder77 that looks really good. 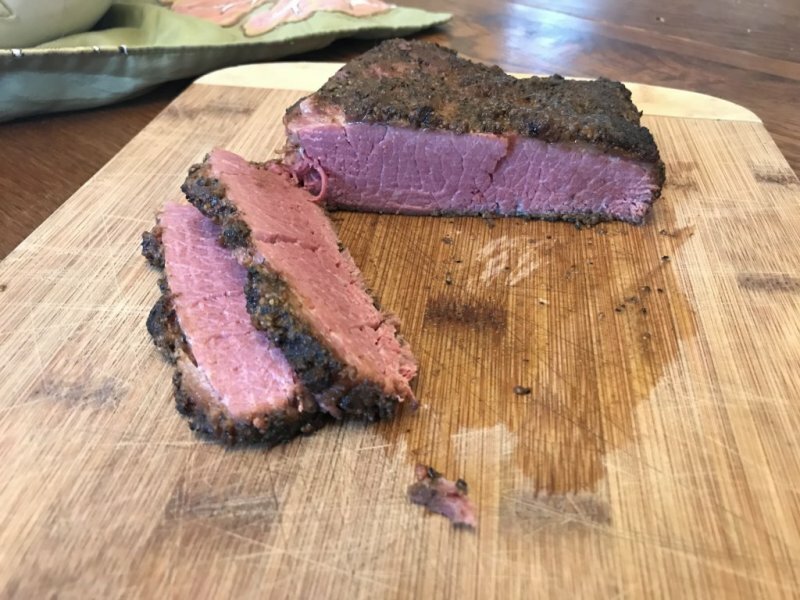 I like the sous vide after smoking. Looks awesome, now all you need is some fresh baked rye bread, hardy mustard and a good swiss with pickles!